Our beautiful home is located right on the shores of scenic Lake Hamilton in the gated community of The Landing. Large pool with a view of Lake Hamilton and tennis courts are available for your use. First floor condo featuring 2 bedrooms 2 full baths with tub and shower. Granite countertops in the kitchen, side by side refrigerator with ice and water in the door, dishwasher and washer and dryer. Hardwood floors, flat screen TV's in the living room and both bedrooms. Modern décor nicely decorated with plenty of seating in the living area. Outdoor patio overlooking the lake and boat dock. Located close to everything. Shopping, restaurants, winery, Oaklawn casino and race track, historic downtown Hot Springs and bathhouse row. For the kids, miniature golf, go carts, laser tag, and the alligator farm are all close by. The perfect vacation getaway for the whole family. First floor condo, end unit with parking for 2 vehicles plus guest parking available. You must be 21 to rent this property. No inside smoking, no pets allowed. Any damage to property caused by tenants will be charged back to tenants. My wife and I are from McGehee, AR. I owned a convenience store in McGehee and my wife owned a dress shop there. We knew when we retired we wanted to move to Hot Springs, AR. So we sold the store and the dress shop and moved to Hot Springs in 2012. First floor condo with large swimming pool and tennis courts for residence use. Beautiful views of Lake Hamilton with a boat dock. Close to all the amenities of Hot Springs and the lake. The condo was really nice. On the water, great view, close to everything we needed. Really enjoyable stay. We love this property. We stay here at least once a year. Thanks for the review!! We always look forward to your visits. It was a very nice place to stay. Convenient location which would really be nice in the summer. Great view of the lake with covered porch and nice outdoor furniture! Only issue was learning how to use the master bath shower/ tub fixtures. Maybe should be updated! We would definitely rent this condo again! Thank you for staying with us during your visit to Hot Springs and for taking great care of our home. We hope you will plan to stay with us again. The condo is always clean and well equiped. Great lake view from sitting on the deck. We'll be back! You will always be welcome to our home. Thank you for your return visits and for taking great care of our condo. Looking forward to seeing you again next year. This place is in the perfect location. Close to everything and the views are beautiful. The property was exactly as described and provided everything we needed and more. Thanks for the great review. We enjoyed having you and hope that you will come back again for another visit when you are in Hot Springs. Highly recommended!! Had a great stay! This was one of the best VRBO experiences! The place is perfectly situated, it’s clean, and nicely decorated. We used the boat slip, which is directly outside of the back door and the dock is very nice. Denise and the owners were incredibly helpful in communicating, making sure we knew where we were going, checking that we were having a good stay and making recommendations of what to do. We will definitely return. Thank you!! Thanks for staying with us and for taking great care of our home. Thanks as well for taking the time to write such a great review. It's good to know you enjoyed your visit and we look forward to your next stay. 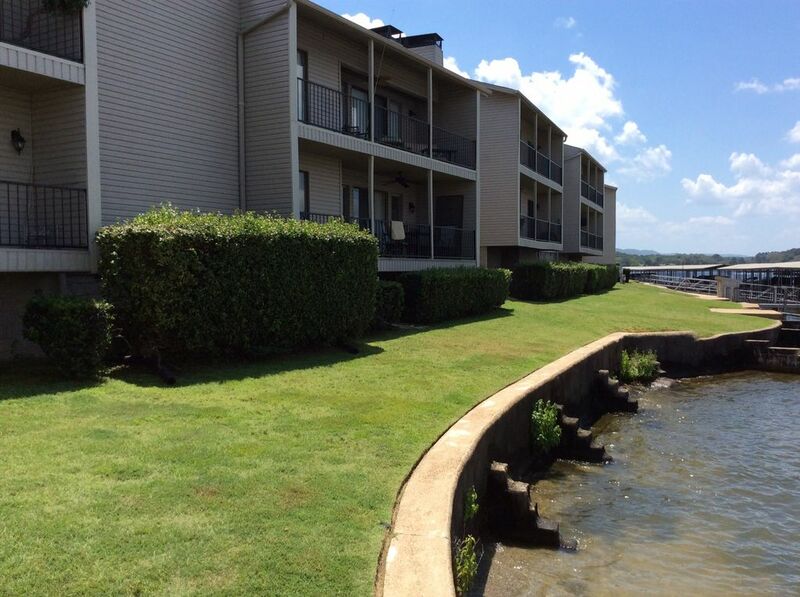 Our beautiful condo is located right on the shores of Lake Hamilton in Hot Springs, AR. We are only moments away from Historic Downtown Hot Springs, Bath House Row, shopping, mini golf, go carts, and laser tag. Close by Oaklawn Race Track and Casino. Located within a short distance of restaurants and bars. Boat rental and jet ski rental located across the water from our home.